With the opening of Le Grand Musée du Parfum this week, we unlock the mysteries of perfumery – the cultivation, artistry and science, are now accessible to all to experience and explore. We celebrate the grand opening of this extraordinary tribute to our industry as proud partners together in this journey. The museum is a place of collaboration, elevated by the passion and insights of many. Through these interactive displays and scented hallways, we have worked together to highlight the impact of this industry on the millions of lives it touches each and every day. 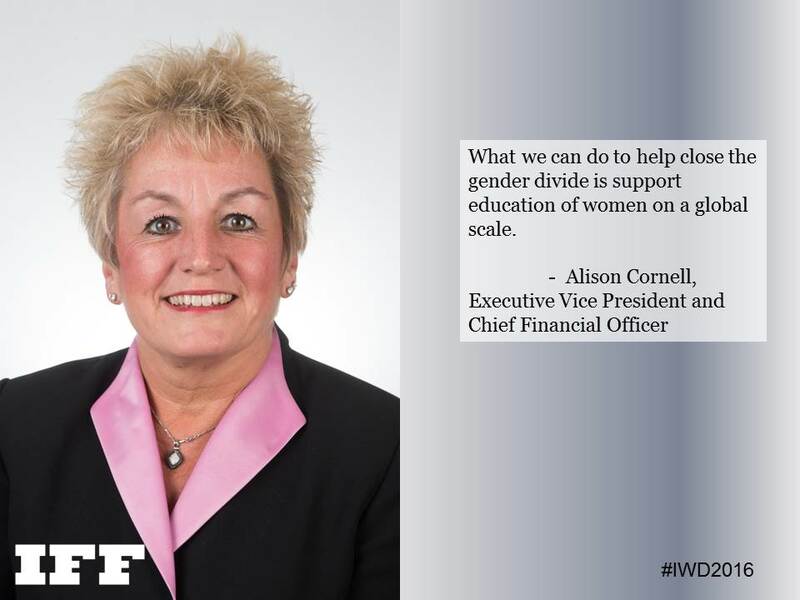 IFF has had the pleasure to be a trusted adviser and a partner throughout this process. Our perfumers, Anne Flipo, Jean-Christophe Herault, Nicolas Beaulieu; key members of our consumer science team and a multitude of IFF colleagues have invested their time and creativity from the very beginning of the project. Together we have worked with the museum’s scientific and cultural committee to develop some of the concepts and all the scents behind the exhibits that will now be accessible to all who visit. @iffinc #perfumer #NicolasBeaulieu at Le Grand Musée du Parfum. He is one of the group of #fragrance pioneers who collaborated on the experience. As we stand with the others responsible for creating this signature museum, we are paying tribute to those who helped build this industry in Paris and beyond – the artisans of fragrance - that came before us, even as we honor the leaders of our industry today: the innovators of perfumery and science. Musee du Parfum Orgue du Parfumeur Jason Bruges /The Perfumers’ Organ as imagined by Jason Bruges Studio. IFF perfumers Anne Flipo, Jean-Christophe Herault and perfumers from other houses contributed to the design. At IFF, we are constantly exploring new ways to generate greater awareness and understanding of our industry and reaffirming our role within this field. We are proud that we can honor the past, present and future of perfumery through this extraordinary opportunity. 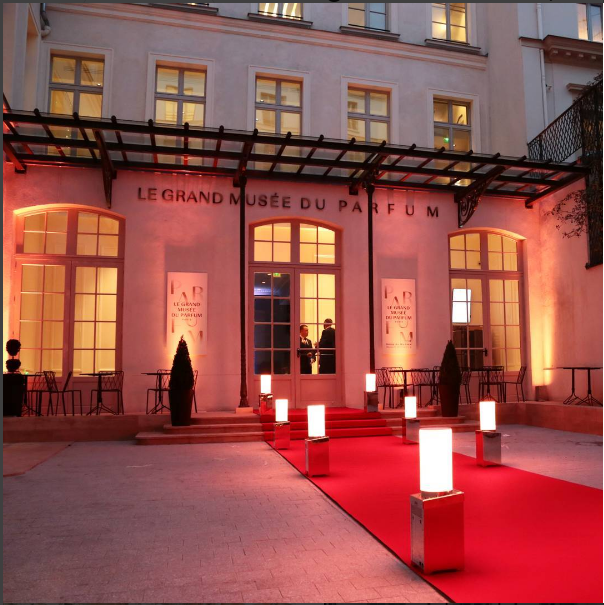 Be our guest and join us on this journey of discovery at Le Grand Musée du Parfum, visit www.grandmuseeduparfum.fr online or in-person at 73, rue du Faubourg Saint Honoré - 75008 Paris. Follow @grandmuseeduparfum and @IFFInc on Instagram. What if there was a whole new world of fragrance to discover and explore? Recently, we had Elle Magazine visit our New York headquarters to learn more about the perfume business. We discussed how proprietary fragrance ingredients, known as “new molecules,” can offer a perfumer a competitive advantage. Our industry is in transition, and the roles of those involved in perfumery are changing too — extending beyond the traditional aspects of art and science, and into marketing, innovation, and business management. In our pioneering 127-year history, IFF has created iconic fragrances, introduced groundbreaking fragrance ingredients, and developed legendary perfumers, time and time again. We’re passionate about our role in creating the future – particularly as it involves the talented scent designers and perfumers of tomorrow. 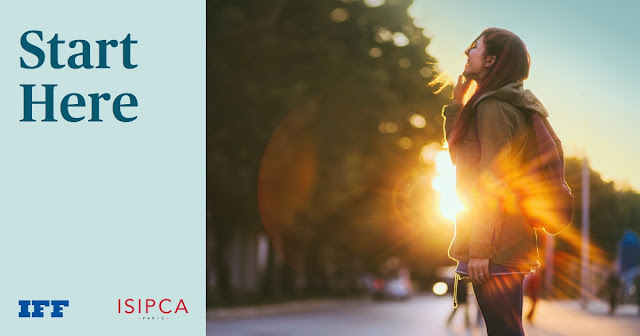 IFF is partnering with ISIPCA to develop future talent with a new accredited degree program: The Masters of Science in Scent Design and Creation. Unique in the industry, the IFF/ISIPCA MSc immerses students in the foundations and pioneering advances of fragrance design. Graduates will be extraordinarily well-equipped for careers as fine and consumer fragrance perfumers, scent design managers, technical perfumers and related roles. To learn more, and submit your application, visit iff.com/scent-school. We’d love to hear your thoughts on being a #futureperfumer – tell us on LinkedIn, Twitter, Facebook, and Instagram. Every day, IFF uses the power of inquiry to create sensorial experiences that invite consumers to discover something new. But more than that, we tap into the power of curiosity — of passionate, sustained questioning — to turn exceptional ideas into extraordinary firsts. Wishing you a new year filled with wondrous reflection and joy that you can return to… always. “In the third quarter, we continued to drive the execution of Vision 2020,” said IFF Chairman and CEO Andreas Fibig. “In the key areas we’ve identified – encapsulation, modulation, North America, Africa and the Middle East – we continue to make progress against our strategic goals. 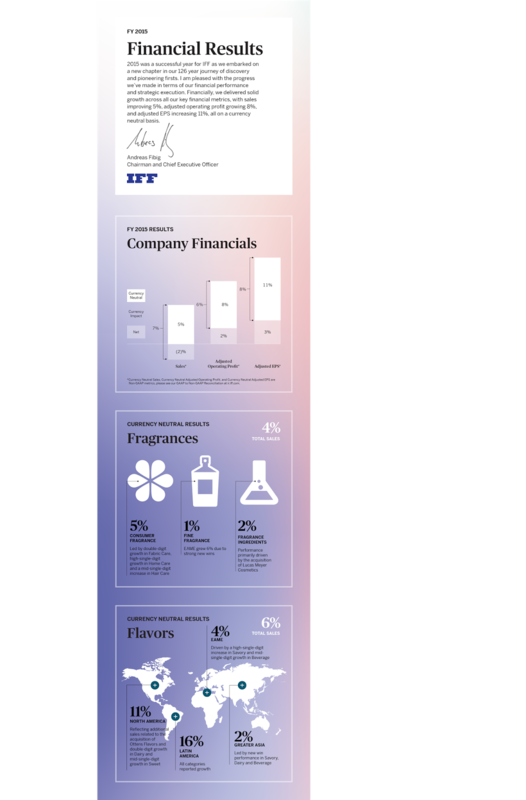 We also accelerated our efforts in M&A recently, with the addition of approximately $160 million in expected annualized sales from David Michael and Fragrance Resources – both of which complement our strategic vision well." Full press release here. The Great Idea Award for Fragrance, created by CEW and IFF, identifies and recognizes those leaders in the fragrance industry who are making a difference. It is specifically for those women who are removing barriers, pushing boundaries and taking risks. They are individuals who love what they do and put their life’s work into making their vision a reality. Rachel Field, our 2016 Great Idea Award Honoree, personifies the values of the Great Idea. Rachel co-created a revolutionary new scent experience that is changing the way people fragrance – and share - their lives. While taking the prestigious “How to Create Things and Have Them Matter” course at Harvard, Rachel was inspired to develop the innovative concept behind oNote, a software platform for scent communications that integrates olfactory perceptions with electronics. 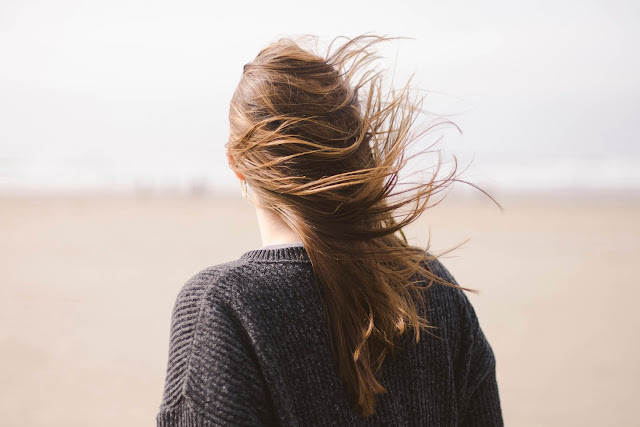 With the creative insight and keen connections of her professor, David Edwards, the two engaged in the journey of overcoming olfactive fatigue while igniting the strong connection between the nose and the brain. Who knew when they said “there’s an app for that” – there really was an app that could take you back to a favorite vacation, relax you when it is time to go to sleep and even energize you for a long drive…all through the power of smell? Through their company, Vapor Communications, Edwards as CEO, along with Rachel and other collaborators are working on ways to create sensorial experiences that enhance the everyday. Currently on the market with a limited release is Cyrano, a personal consumer electronics device or a “scent speaker,” that can leverage those experiences. A user can select a certain amount of pre-programed smells through the oNote app which transmits the information remotely to the Cyrano device and produces mood medleys--a series of scents that fits the intended mood. Since the scents rotate like a fragrance “playlist,” a dynamic olfactive experience is designed - preventing the fatigue often associated when only one scent is emitted consistently as with candles or plug-ins. In addition to Cyrano, the company also created oPhone, a scent diffuser that accompanies oNotes. What’s most intriguing about this concept is that this experience can be shared. Since oNote is a mobile app, a subscriber can send their favorite scents - through either Cyrano or the oPhone - to anyone who has the app. A breakthrough in social media, this digital scent technology has no boundaries – the possibilities for developing unique fragranced experiences and sharing them with a single friend or a group of friends makes the opportunities for this platform limitless. IFF is proud to partner with Rachel and Vapor Communications on this dynamic new frontier in scent experiences. Congratulations to Rachel Field – the 2016 recipient of the Great Idea Award for Fragrance – we can’t wait to see what’s next on the horizon. Smell is represented in memory, enhanced with emotion and perceived with no thought. The outside world meets the internal features of our perceptual world. The sense of smell involves not only the perception of a scent but also the associated memories that are evolved and the emotions that are attached to it. One perspective for increasing your basic sense of smell; is by smelling consciously with FOCUS everything you eat, whatever you put on your fork, spoon, or pick up with your hands pass it by your nose first. When you are in the stores shopping for food, clothing or supplies pick the item up and pass it by, consciously with FOCUS, your nose first. Also be conscious with FOCUS while you walk, smell your surroundings. Every neighborhood has its own odor. Don’t miss out on the differences. It is necessary to repeat all the time with FOCUS. For any skill to develop; such as a sport, dance, music, smelling, constant repetition with FOCUS is a criteria. This is a learning process not a result. Be patient; try to be better today than last week. 50 years ago, Sophia Grojsman joined IFF in New York as a Lab Technician. Last week, she was honored at the Fragrance Foundation Awards (considered to be the Oscars of the perfume world) with a Lifetime Achievement Award. Born in Belarus on International Women’s Day, March 8th in 1945, right after the war, Sophia loved and played with flowers instead of toys. Perhaps, it was this natural affinity that paved the way for an acumen that would earn her the moniker, the Queen of Roses. Without knowing so, the creative games she played as a child with mother, identifying flowers, tasting and smelling flavors combined with her studies in chemistry came together to offer her the perfect background for her career. In an era, where women perfumers where a rarity, she championed women and empowered them. A pioneer, she understood what women wanted. She was inspired and mentored by iconic perfumers such as Josephine Catapano, the first Grande dame of American perfumery, and Ernest Shiftan, the legendary IFF Perfumer. Sophia’s work pioneered uncharted territories, creating all the many classics that we know and love. Her talent and force of spirit motivated inspired and touched many. Sophia recalls one particular, moment that was extremely rewarding to her. Walking down the street in New York, she smelled one of her perfumes on a woman. But that perfume did not come from a precious glass bottle but instead from a fabric softener, Downy, a perfume that Sophia created. She understood that even through a scent for a fabric softener, she could touch a women's life. “I was really lucky that I was given the opportunity to do all this and to learn all this and thank god that I am in the United States of America, where people are given the chance, even a little kid from Belarus, to become a perfumer and make a lot of women happy, “ Sophia notes. 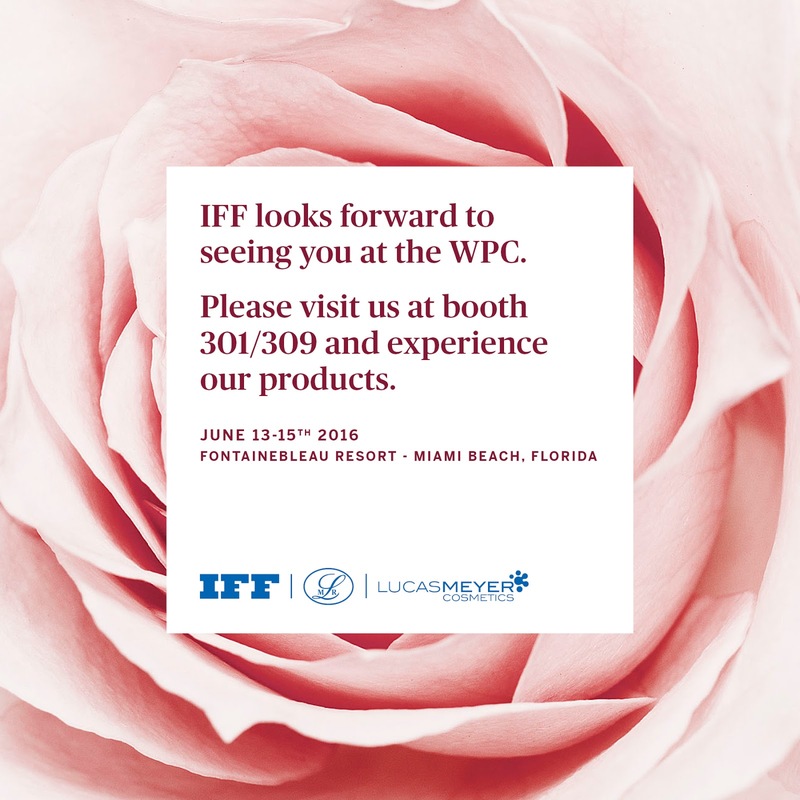 Join us in Miami Beach for the World Perfumery Congress on June 13–15, 2016, at the Fontainebleau Resort in Florida. We’re proud to be a premium sponsor and support new opportunities in sustainability. How fragrance creates delight and drives value for brands. 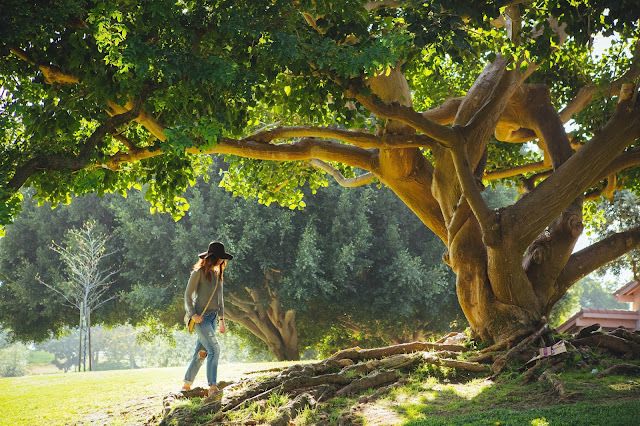 Consumers expect sustainable fragrances with low environmental footprints, and they expect them to be created with renewable resources—but no method exists to clearly prove that a fragrance is sustainable. However, green chemistry, as a philosophy, provides useful guidelines to design safer products for health and environment, and a novel method based on green chemistry that can help assess the "greenness" of ingredients and fragrances will be explained during this session. Further, the presented method is available to both chemists and perfumers, and it has already been used to assess more than 1,000 ingredients have to build a green database. Learn why fragrance houses are tapping into the cosmetic actives market, what this means for the creation of differentiating innovations and multifunctional offerings, and what these new capabilities signal about the future of the industry. Come and explore the innovation and share our passion for fragrance ingredients when you visit us at the 2016 WPC. Our team will introduce you to the newest additions in our creative perfumery palette: Starfleur™ 40, a fresh floral, and Lime Leaves, a green leafy citrus note. Meet our perfumers and experience these new ingredients. Also, discover why Amber Xtreme™, one of our most powerful products, provides you with complete creative freedom. We’ll be joining the #WPCMiami conversation online. Follow us on Twitter, LinkedIn and Instagram for the latest updates and news. 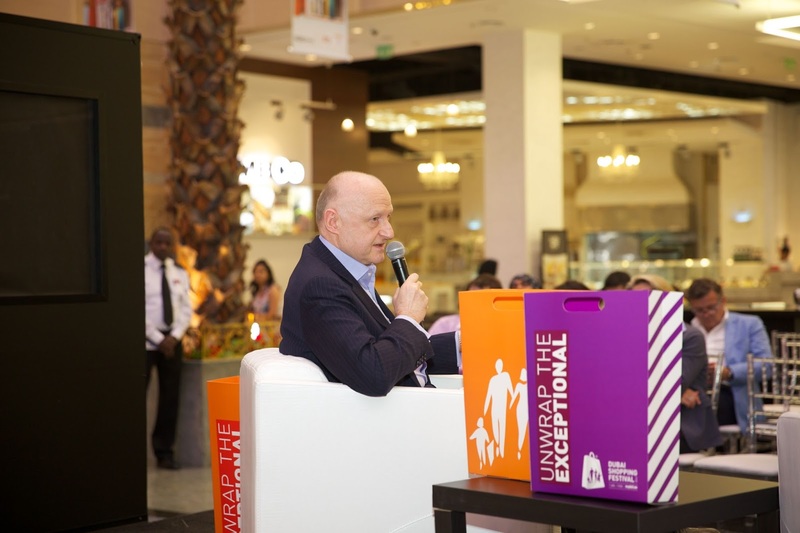 Andreas Fibig, our CEOand Chairman at IFF, has noted what a scarce resource perfumers are today. In fact, of the world’s 600 total perfumers, IFF employs about 10 percent of them. To put this into perspective, there are fewer perfumers in the world than there are astronauts. Being a nose, as perfumers are fondly called, is a complex job that has always had a higher barrier to entry. Historically, either you either came from a family of perfumers and followed that same path or studied chemistry and apprenticed within the fragrance industry for several years under seasoned professionals before coming into your own. After 127 years of creating Fragrances, we recognize how the roles of perfumers, as well as others involved in the scent design process, have evolved, requiring multiple skill sets. Perfumers at IFF strive to deliver unique experiences to consumers. Creating a new signature fragrance requires a constant interaction with our consumer. This requires deep listening, empathy and the abilities to understand and deconstruct key scent attributes such as clean, fresh, caring, and others that may be important to their needs. When Daniel Li, IFF Senior Perfumer, Consumer Fragrances, creates signature scents for consumers, he is passionate about how much he is energized and inspired by how consumers interact throughout the creative process. For him, this feedback is very important. He often finds himself amazed by the depth of emotions evoked by his creations, especially in the shampoo or detergent categories. Grasse, France, has been renowned as the world’s capital of perfumery since the Middle Ages. Today, consumer and market demand calls for perfumers that can cater to both global and local preferences. For example, Brazil and Dubai are some of the top fragrance markets in the industry right now. At IFF, our people are bilingual and multilingual, global citizens. We look for talent who see the world through the multifaceted lens of an explorer. Our perfumers come from diverse backgrounds and are based at our creative centers around the world: Shanghai, Singapore, Dubai, Brazil, Mexico, New York, the Netherlands and France. Carlos Benaim, IFF Master Perfumer, for example, grew up in Morocco, but has lived and worked during his career at IFF in Paris, France; Amsterdam, The Netherlands; and New York, USA. 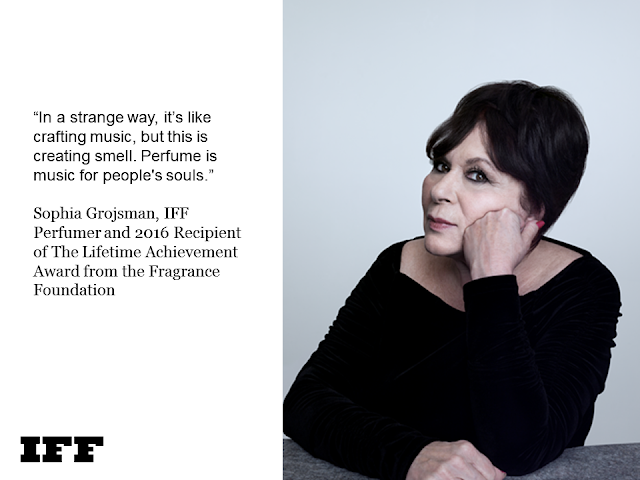 Sophia Grojsman is a legendary perfumer at IFF who will be honored next month at the Fragrance Foundation 2016 Awards with a lifetime achievement award. She hails from Belarus, Russia and studied in Poland before making the United States and IFF her home. While IFF perfumer, Chiaki Nomura, has lived in 6 countries in 4 continents. She is originally from Japan. Our perfumers work on an array of projects from celebrity fragrances, to detergents, candles, hair products, air freshener, body wash, hand sanitizer, deodorants and many more. Innovation is at the heart of our strategy. At IFF, we work on over 38,000 products annually as well as develop and adapt new technologies. Starwood Hotels asked Laurent Le Guernec, Senior Perfumer, to design an interior ambient scent that would bring nature inside and have guests feel the walls breathing. Le Guernec thrives on these kinds of out-of-the-box challenges that let him to apply his creativity and develop his art into sensorial experiences. 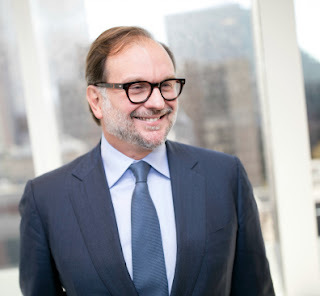 Lorenzo: “It will be important for tomorrow’s perfumers to have a deep understanding of the market and consumers within the industry, to relate to the needs and tastes - globally and across categories -- and provide deep intellectual rationale”. Frederic: “Customer intimacy is key for perfumers to be successful. They must know the palette of ingredients, be fully immersed in the market, understand the brand and the brief, have great listening skills and be able to integrate comments and feedback – all while building trust to so that customers will be confident in their decisions. We work in a category that is driven by emotions, so we have to build strong and personal connections”. We’re currently seeking tomorrow’s scent designers and perfumers. We encourage you to explore career opportunities on our site or apply for our new School of Scent Design & Creation (MSc) program. 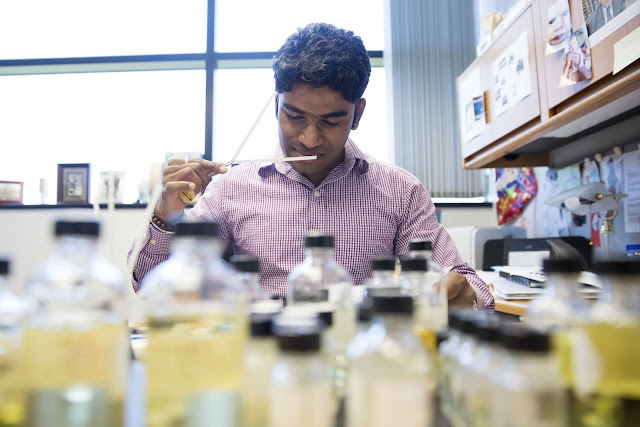 Raj Walavalkar, senior perfumer at International Flavors & Fragrances, recently helped develop PuraVita™, the world’s first Cradle to Cradle Certified® fragrance, which was launched officially on May 12th at the Sustainable Cosmetics Summit in New York City. We sat down with Raj to talk about this significant milestone and his role helping IFF achieve its long-term sustainability vision. What does sustainability mean to you personally and in your line of work? Sustainability is about protecting and preserving our resources today and in the future. There has been so much progress and enthusiasm for integrating more sustainable solutions into all aspects of our lives in recent years, and it has been particularly exciting to think about how to bring that thinking into my line of work as a perfumer. Working to create PuraVita required a different mindset, as I had to consider all the ways the fragrance would impact people and the planet from the very first moment. It’s gratifying to see how much we can do to produce high quality, sustainable products that enhance our well being and respect the earth’s resources. I will carry this perspective to my future fragrance development challenges. You said you were challenged to think differently about creating the PuraVita fragrance. How so, and what about your process changed? To create exciting scent experiences, a perfumer must a balance art and science, passion and skill, innovation and chemistry to create something that is both memorable and technically on-target. 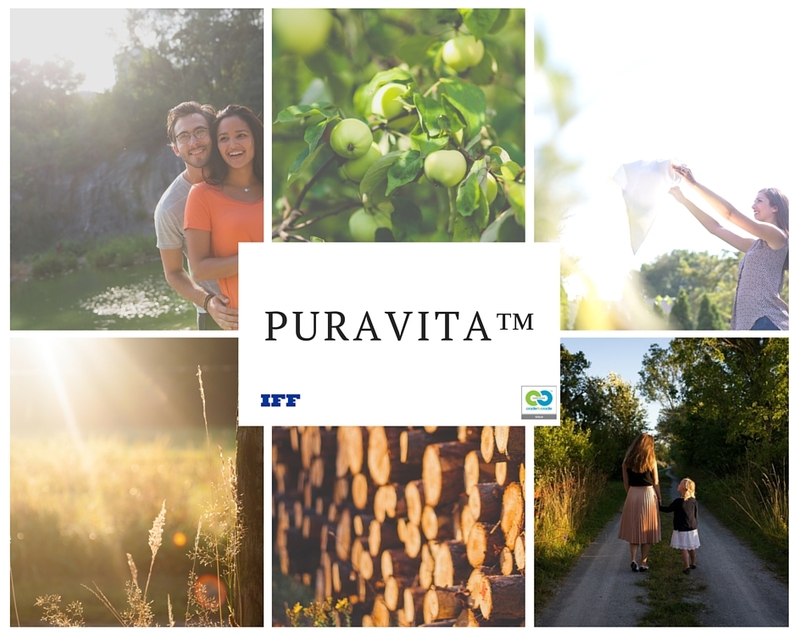 When creating PuraVita with the rigorous Cradle to Cradle product standards in mind, I had to think differently about creation and innovation. 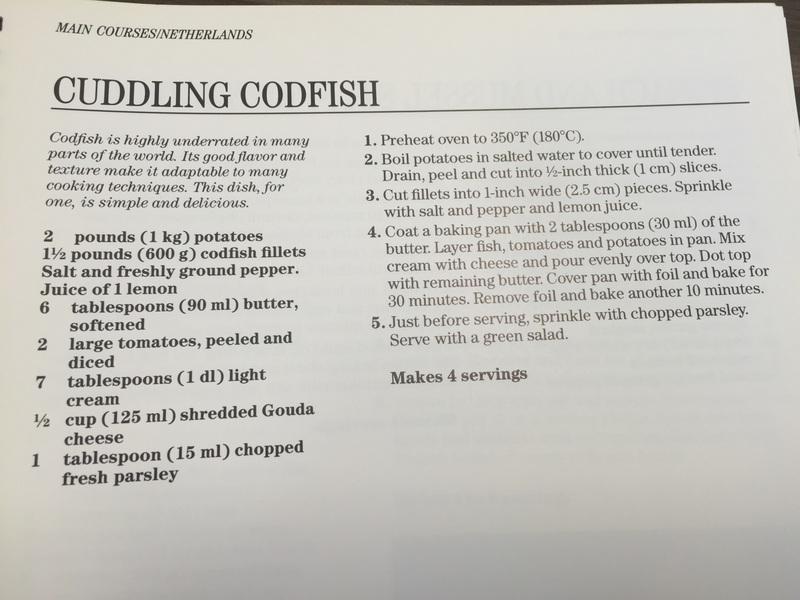 I had to find substitute ingredients that met our sustainability criteria. I had to redefine the olfactive space to create the effect I desired. PuraVita is an important milestone on our journey to embed sustainability within our corporate strategy, our culture and everything we do at IFF. Together with my colleagues, I look forward to continuing to conceptualize and experiment with a variety of ideas, flavors and scent experiences to delight our consumers. What if scent could expand your perception of reality and transport you back in time to relive salient moments? 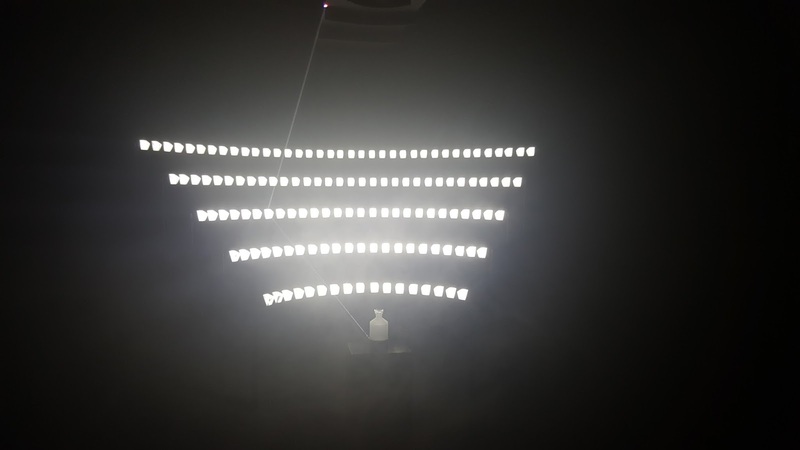 This was just one aspect of contemplation for Famous Deaths, one of the Tribeca Film Festival’s interactive installations this year. 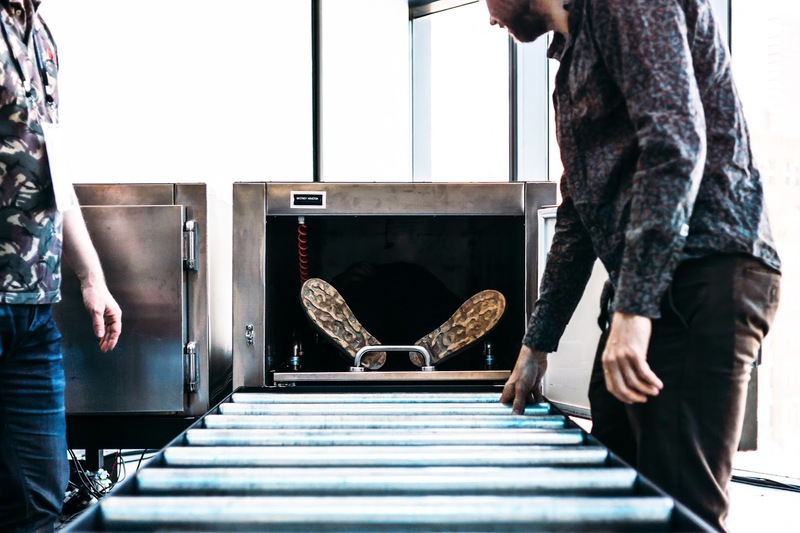 Famous Deaths was developed in co-creation by lecturers, artists and students as part of the Sense of Smell Project designed for AVANS / CMD Breda University of Applied science, with the support of IFF. At the exhibit, participants entered a mortuary freezer to experience a reconstruction of the final moments of John F. Kennedy’s tragedy or Whitney Houston’s last exhalation by means of sound and scent. While there Matthias Tabert, Strategic Insights Senior Manager at IFF had an opportunity to talk with lead designers; Frederik Duerinck, Filmmaker Artist, Marcel van Brakel, Artistic Director at Polymorf , and Zeina Abi Assy, Tribeca Film Institute Program Manager. Left to Right: Zeina Abi Assy, Marcel van Brakel, Frederik Duerinck and Matthias Tabert at the Tribeca Film Festival, Famous Death exhibit in New York. MATTHIAS: I’ve seen articles around your work that talk about post-digital storytelling through sense. Can you define post-digital in that context? That’s really new. FREDERIK: I think post digital is basically --- an imprint of a dialogue in the heads of people. So, because things are an embodied experience, it goes beyond the screen. It goes beyond only the media. Right now we are in the digital age, but there is an age coming after the digital age. I think we are missing this – the post-digital age. MARCEL: A human body is like a biochemical system. The more and more we interact with technology and it’s like this silicone hardware, the more and more we become aware that it’s not really connecting to the body because the body has different stuff. At the same time, we see a lot of research where technology is putting into the body --- connected to the body and it’s turning from hardware to wetware. I think this taps into this discussion. It is very interesting to see the body as a chemical system and to interact with it in a chemical way. I think this has a future. FREDERIK: One more thing on that is what you can see, as well, is that there is a change that goes back to the body and how we experience the whole environment. I think that is a thing. Storytelling is, in a way, a way of making sense of the world. It’s not only a virtual playground, but we tell stories. We create stories to basically comprehend the world around us. In that manner, if you want to comprehend something, it’s not only about the thought in the head, but it is the whole body. MARCEL: It’s an embodied experience. MATTHIAS: Marcel, when I look at the installation here, I see a convergence of art and design and technology. To me, that’s really coming through in a very strong way here. Tell us about what it took to turn the idea into an interactive exhibit. What are some of the hurdles? How did that come into realization from idea into exhibit? MARCEL: Well, if we wanted to do something with scent we first had to create a scent that we could control. Because we didn’t have any background, we didn’t know anything about scent. We first started with building a scent printer, but that is a divisor which helps us to control the scent. We have 32 different scents that we can control with pressurized air. We use this system to inject the scents into the boxes. This took a lot of prototypes, after some iteration we came up with the current design. In the beginning we didn't have an interface. So, we knew the story and we knew the concept, but we didn’t have the right interface. We were driving a car back from Cambridge and we were think-tanking and suddenly we thought: “The honor should be to that person”. So, you should be JFK. Then we came up with the idea to use the cooling chamber. Frederik had them import it from China, which was a big hassle. It is custom built. We had to enlarge them because it would be too claustrophobic for an American or European audience. 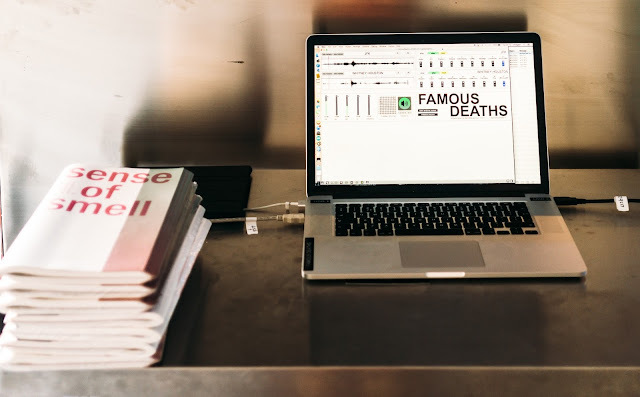 MATTHIAS: Zeina, can you tell us a little bit about yourself and how you first became aware of “Famous Deaths” and why you brought them to Tribeca Interactive? ZEINA: I am the Coordinator of Interactive Programs at TFI. My colleague, Opeyemi Olukemi, first experienced Famous Deaths at IDFA. She is the Senior Director of Interactive Programs at TFI. It’s a mortuary chamber and the experience altogether was very impactful on her that she was just adamant on having us bring Famous Deaths to the Playground. Really because the Playground is an exhibit where we look at technology and how storytelling is being used across the board where it’s not just linear or traditional, typical media – visual and sounds – it goes beyond that. I think this project goes beyond that in a very, very compelling way. 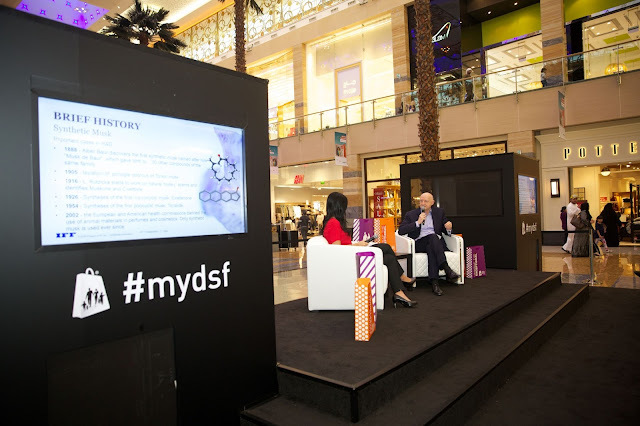 MATTHIAS: How do you envision a partnership with a company like IFF, coming from the fragrance industry? FREDERIK: We’ve been in contact with IFF for quite some time and what we find very interesting in IFF is the level of knowledge and the level of quality and the level of understanding of how smell works. For us, that was always the thing – the candy – that was in front of us and why we always pursued collaboration with IFF because as artists, we want to create the best possible experience. To create the best possible experience, you need the best possible player around to collaborate with. That’s how we got started contacting IFF. MATTHIAS: In terms of your book, Sense of Smell, I found it very exciting and full of amazing future concepts. How do you foresee scent evolving from a user experience perspective over the next 10 or so years? How do you see scent evolving as a medium that you are familiar with and as you forecast. Give us a look into the crystal ball. MARCEL: I think that the main thing is that scent is data and it is not currently considered as data. When the industry and the artist make this turn in their head and really see this as data, one can utilize it and do a lot of interesting stuff with it. You can use it for feedback systems. You can use it for communication. You can use it for making softer, more human and natural kind of interfaces --- I get a phone call from my girlfriend, my phone is vibrating. That’s not an interesting interaction. But if I could smell my girlfriend, it might be more personal, more human and more natural. So, I think that is very interesting. MATTHIAS: Pushing these boundaries, what would change about the exhibit in future iterations? How do you see it evolving? How do you see it? FREDERIK: I think in the future you go to miniaturization. I think you have something which you take with you and it interacts with your body and with how you feel and senses how you feel and gives feedback through smell. It basically influences your behavior and influences how you feel and influences how you interact with people and how people interact with you. We would both wear a device and we would feel in our heart rates or whatever that there is something going on and see how could it smooth out the interaction between us? That is a very interesting side where things could go. That is a big thing. The other thing that is very important is that the humanization of technology goes back to a level where as human beings – as beings, really – we will basically be approaching each other. The smell will be all the senses. I always feel that there is a bit of a rat race going on. If we want to step out of the rat race, one of the ways to get out of the rat race probably would be to go back much more to the primal senses and interact through those. MATTHIAS: I like that post-digital humanization of technology. Wow. Zeina, let me ask you the last question to close. What role do you see for scent in the future? Just coming in as an outsider to some degree, right? This is a new medium for you, as well. How do you see scent playing in the future of the Tribeca Film Festival in light of what they were just saying? ZEINA: I notice that at times when people are coming out of these coffins, the first thing they are asked is: “How did it feel?” I thought that that was an interesting question to pose. 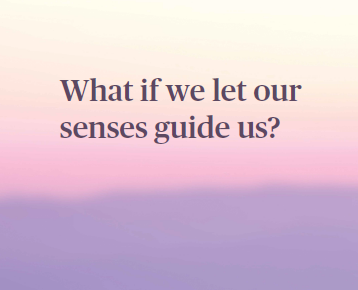 That experience rather than “How was it?” or “What happened?” So, I think we underestimate the sense of smell a lot until there is an alarming smell that comes up in our experiences. But, it’s a large part of how our memories are formed and how our experiences are really felt. Smell is a big part of it. I am so excited to see how this is going to be integrated into a lot of technological endeavors and see how smell can actually take them to a whole new level in terms of VR or AR or anything. If we introduce smell, what are the possibilities then? We are very excited to see where that’s going to go. We’d be very curious to bring in more explorations like that in future Festivals. Defining trends and analyzing them can be a complex study in our ever-changing world. In order to do this successfully and systematically, one must single-handedly maintain both micro and macro view of themes, events, and behaviors defining the current and future state of the world along with the ability to recognize impactful patterns and connect the dots on the spot and then channel them into executable actions. 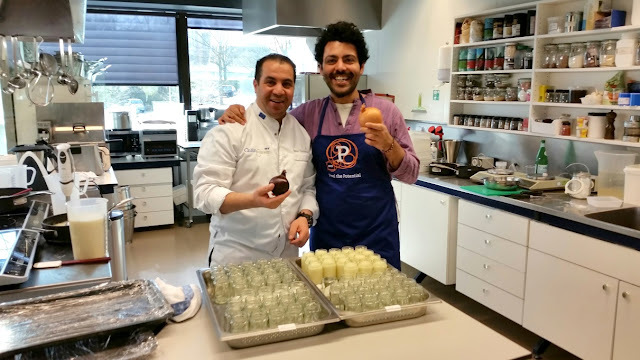 Today, we introduce you to Mahbir Thukral, whose job it is to conduct such work and who delves into research like the major 2016 dining trends in France, Spain and Italy. 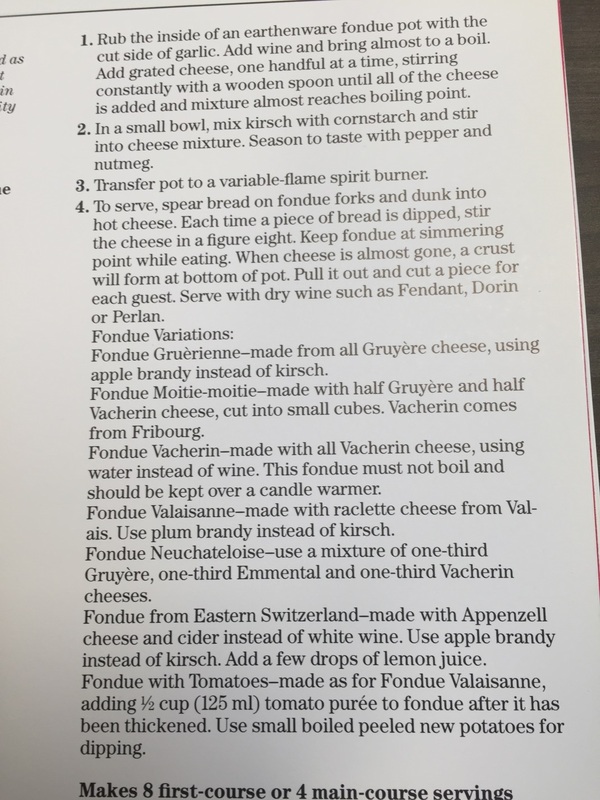 MT: I'm the interim Marketing Manager for the savory and snack category in Europe, Africa and the Middle East (EAME), where we create flavorings for end use products, including cooking and table sauces, soups, bouillon cubes, potato chips and savory crackers, just to name a few. Supporting the category account managers throughout the EAME region, it's my role to offer market insights to opportunities they're currently working on. 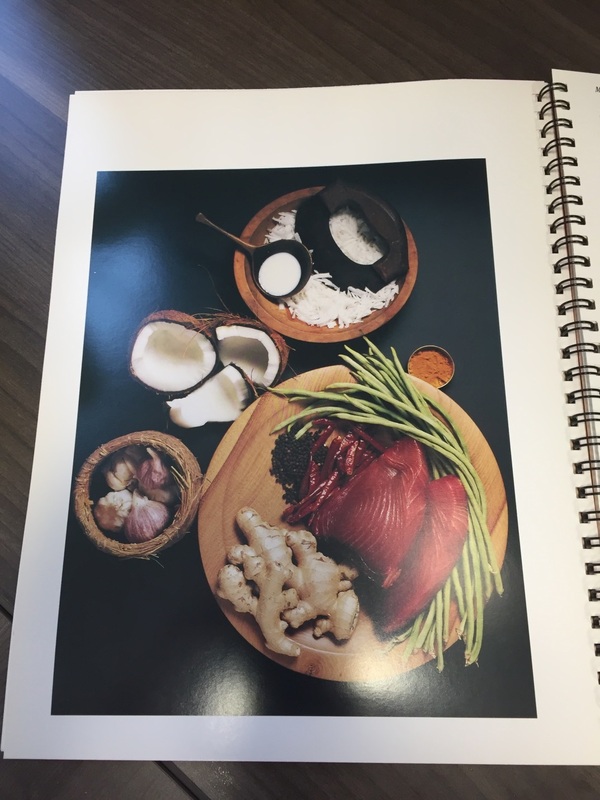 I examine the marketplace; identify new segment and flavor opportunities; and with the guidance of our amazing flavorist and technical teams, advise on novel flavor directions, which may lead to commercial applications. Having only joined IFF recently, I've already been fortunate to work on several very exciting projects. 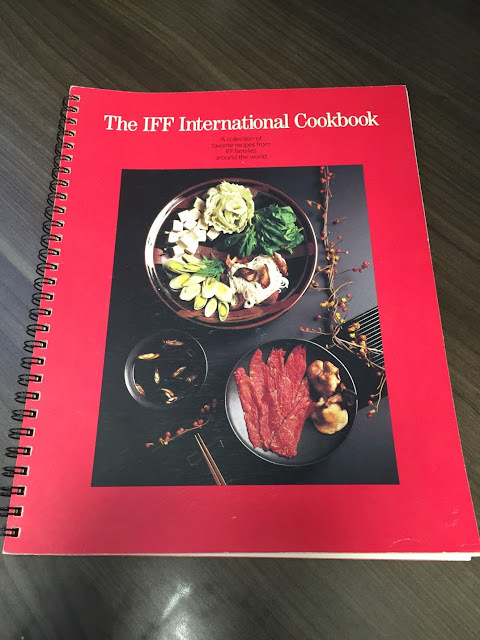 Each customer is facing very unique challenges, and it's my job to make sure that IFF's flavor ingredient capabilities are center stage, offering value driven solutions. My role also involves the review of how IFF's marketing and Sensory and Consumer Insights (SCI) department can better support our account managers, so they then have the most effective collateral to drive business for the company. MT: To be quite honest, when I joined IFF, I was taken aback by the authentic entrepreneurial spirit that runs throughout every vein of the company's work culture. In the case of IFF, true to their word, and to my astonishment, this company really does provide me with the capacity to explore new avenues, take calculated risks, and to express my honest opinion on matters that impact my professional remit. My superiors and colleagues give me the space to present ideas however eccentric they may first seem, trial alternative ways to do things, and seek out new partners who bring added value to better the quality of both my function within IFF, as well as the company's wider commercial success. I'm not alone in having this opinion. Other colleagues I've spoken with, on both the flavor and fragrance sides of the business have expressed similar satisfaction. So I can clearly see that this is a very positive quality which is evident throughout the entire IFF company culture. In the Hilversum office in particular, the working environment is very multicultural. Most likely, regardless of the country I'm doing a project on, they'll be a national from that territory within my close proximity. This is extremely useful as I can simply go to them to qualify my starting points. There's never a hesitation by anyone not to help each other. MT: Before undertaking any research for a project, it's very important to set out clearly defined objectives at the beginning. To create a briefing of sorts, which will firstly aid the research process for myself, and will also become a reference point for others (such as the category account managers), as to why certain research conclusions and then the proceeding flavor directions were made. I usually begin by asking myself what exactly I want to find out, and why. There's no complicated process or technique involved. I will simply write down the questions on a piece of paper. Such questions could be, "How do Polish consumers cook and prepare pasta dishes?" or "What are the most popular dishes that French consumers cook at home?" A little tip I've learned along the way is that if the research is market-specific, actually searching the appropriate terms in the language of that given territory will usually lead to some amazing insights. In addition, given that our business and industry is constantly evolving, generally speaking it's imperative to stay abreast with current affairs and market trends. I'm regularly reading business journals and news websites during my work day, as well as in my spare time. You need to have a natural interest for such information to be in this business. Doing so provides knowledge and ideas, which may or may not be appropriate for the project I'm currently working on, but will most likely find their way into a project that I could be working on in the future. How does one become a perfumer? We are often asked about our perfumer’s backgrounds, their inspirations or how they became perfumers. Typically, in order to become a perfumer for a fragrance house one needs an extensive chemistry and science background. However, we have observed that the role has evolved and the Perfumer today must be adept at a full suite of skills beyond those of the lab and the scientific method. This new skill set encompasses the traditional aspects of creativity and artistry of perfumery with chemical science, and extends beyond the basics to incorporate marketing, innovation and business management. It combines these with specialized applied sciences & technology relevant to the Fragrance industry, design experimentation and personal development. It’s one of the reasons we have partnered with one of the world’s leading perfumery schools, ISIPCA, to offer a new program -- School of Scent Design & Creation (MSc). In a recent press release, Nicolas Mirzayantz, IFF Group President, Fragrances, said, “This partnership combines IFF’s 127-year creative legacy with the proven academic excellence that has made ISIPCA the world’s premier fragrance school. It’s a wonderful opportunity to participate in the training of future perfumers and scent designers. This alliance “creates a best in class program, which can be adapted to industry and market needs,” adds Catherine Bru, EAME Creative Center Director, at IFF. Every day, we use the power of inquiry to create sensorial experiences that invite consumers to discover something new. But more than that, we tap into the power of curiosity—of passionate, sustained questioning—to turn exceptional ideas into extraordinary firsts. From the creative center in the Netherlands, where Franc continually raises the bar on scented consumer products, to our in-house naturals operations, IFF LMR Naturals located in Grasse, or our collaboration with NASA, exploring the effects of zero gravity on fragrance, to our most recent, pioneering the digital future of scent, our people have always pushed the boundaries to solve the day’s most immediate challenges. For Carlos Benaim, Master Perfumer at IFF and recipient of numerous awards including the Fragrance Foundation’s Lifetime Achievement Award, his career spanning 48 years at IFF has been an odyssey of fragrances. A native of Tangier, in Morocco, who later moved to France to pursue chemistry and engineering studies, Carlos applied for a management training opportunity with us in Holland. At IFF, he developed his acumen, working and learning alongside some of greatest talents of IFF – Ernest Shiftan, Bernard Chant, Max Gavarry and Dr. Braja Mookherjee, to name a few. He has created or collaborated on a string of iconic fragrances, including the original Polo by Ralph Lauren; Euphoria and Eternity for Men by Calvin Klein; Herrera for Men by Carolina Herrera; White Diamonds by Elizabeth Taylor; Very Irresistible Givenchy by Givenchy; Prada Amber by Prada; Armani Code for Women by Giorgio Armani; and both Flowerbomb and Spicebomb by Viktor & Rolf. “I have no doubt that through the combination of the IFF curriculum at ISIPCA, followed by mentorship at IFF, we will produce the best professionals in our industry,” Carlos expressed. This June, we’re thrilled to honor Sophia Grojsman, Vice President Senior Perfumer, at IFF, next in line to receive the Lifetime Achievement Perfumer award. In this episode of IFF Listen In, we introduce you to Vincent, a Flavors Manufacturing Logistics Manager based in New Jersey. 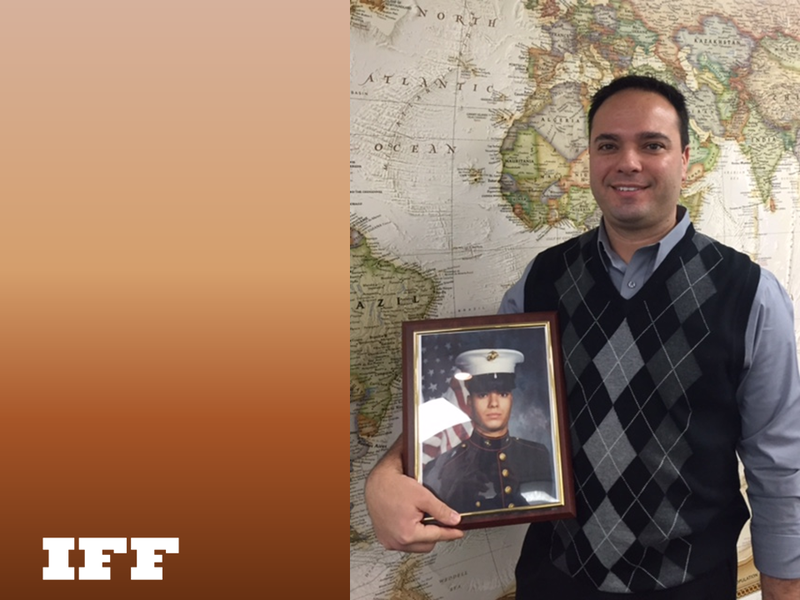 He learned valuable leadership skills while serving in the United States Marine Corps, worked in the lab at IFF, and was then promoted. Now he makes sure things get where they need to be with...well...military precision! IFF Listen In is a podcast interview series that takes you inside our workplace and brings you upfront and personal with the people of International Flavors & Fragrances. At IFF, we’re inherently curious. For decades, our people have pushed the boundaries to solve the day’s most immediate challenges, while realizing the promise of what comes next. This podcast series is hosted by Michael Kannisto, Global Director of Talent Acquisition and produced in part with Corporate Communications at IFF, a leading innovator of sensorial experiences that move the world. Visit iff.com to learn more. Each year the Fragrance Foundation recognizes a select group of young executives under the age of 30 for distinguishing themselves through impressive ideas, team contributions and hard work. These notable movers and shakers are creating the future of the fragrance industry. Among “The Notables” for 2016 is Gayathri Balasundar, Marketing Manager at IFF. Gayathri has been with International Flavors & Fragrances since 2014 and is a leader on the North America marketing team. 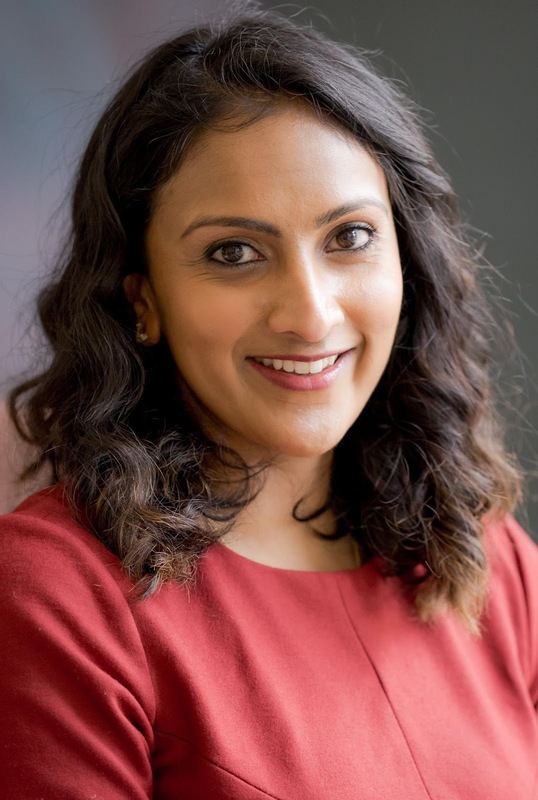 A graduate of Binghamton University and the FIT Cosmetics and Fragrance Marketing and Management Program, Gayathri initially entered the industry as a brand marketer where she discovered her passion for fragrances before joining IFF. Gayathri, tell us more about what do you do at IFF? GB: I am a part of the marketing team at IFF focusing on fine fragrance. It’s my job to be in-the-know on what’s going on in the fragrance world and beyond. I watch, listen and read everything I can to find the patterns and trends in our lives. I research and analyze the market as well as understand people’s fragrance behaviors to come up with new fragrance concepts and ideas. Most of the time, you can find me immersed in PowerPoint prepping for client presentations where I develop and share fragrance and brand stories. What’s it like to work at IFF? 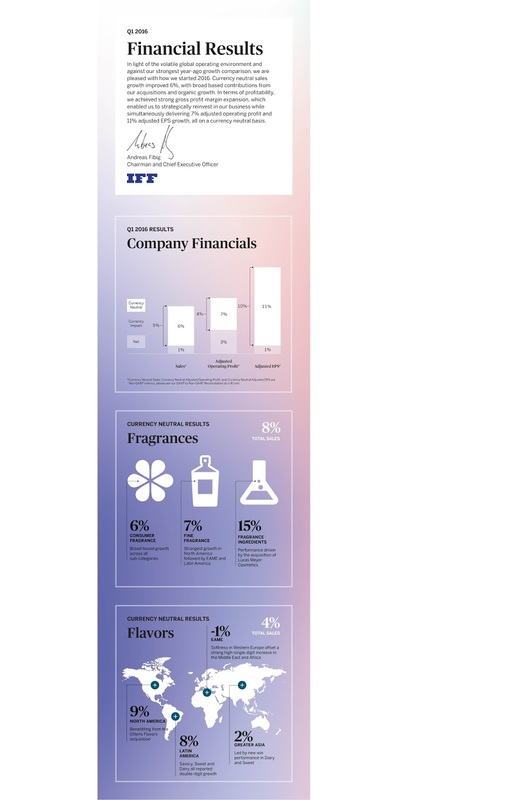 GB: IFF is one of the largest companies in the fragrance world yet has a small company feel. It allows and encourages us to be flexible, agile and creative. The environment is very empowering – if you have an idea and believe in it, this is the place that will help you bring it to life. Any tips for anyone looking to enter the industry? GB: You have to have passion - passion for fragrance, products and stories. The purpose of our industry is to provide people with the tools to look and feel good. At the end of the day we create products that spark the senses and transform the everyday. GB: I am on a constant pursuit of all things wellness and travel! Running is definitely a passion - It’s something I love to do but is hardly ever easy! I love to run different streets and beaches and parks around the world. I especially love it when I travel – I can feel every new place raw and unfiltered with all my senses when I run; the pavement or sand under my feet, the scent of new and exotic plants, the sound of ocean waves or just pure silence and the sight of a new sunrise against so many different backdrops! GB: Inspiration and creativity strike only if you are curious. At IFF, we are always asking and always answering. Curiosity isn’t innate but it’s something we can work to cultivate. I am always curious about “the why”. I love taking the time to smell the roses. Literally! It’s like a mediation to slow everything down and engage your sense of smell and really feel the scent around you. I love walking in NYC and listening to the stories, the scents, the sounds – they all make for a unique combination that is hard to find just anywhere. A city that’s made by its pedestrians- there is an energy and rhythm here that fuel and inspires my passion. Please join us in congratulating Gayathri and be sure to follow the conversation via #TFFNotables as the newest class of Notables is inducted tonight, March 16, 2016, at the LVMH Tower in New York City. It's an excellent opportunity for us to honor the achievements of women around the world, reflect on our pioneering legacy and turn the lens toward the future to see how we can continue to move the world and shift the momentum. 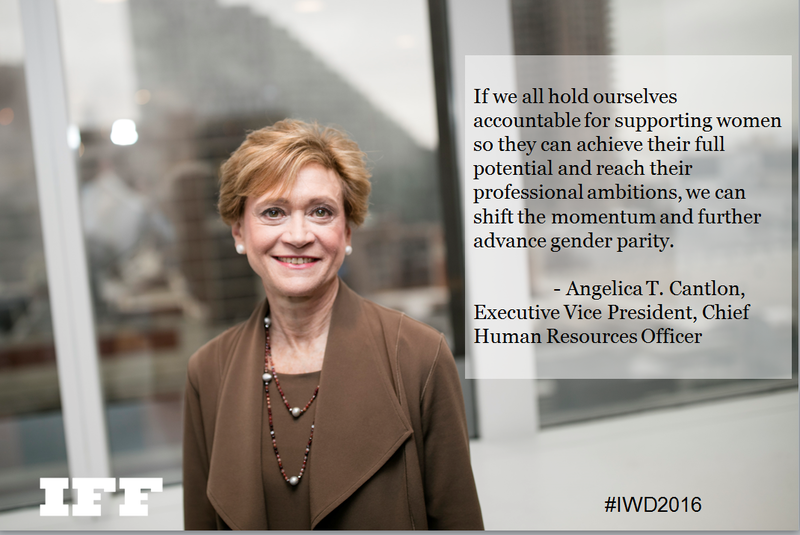 "Men and women alike must proactively include women as critical participants. 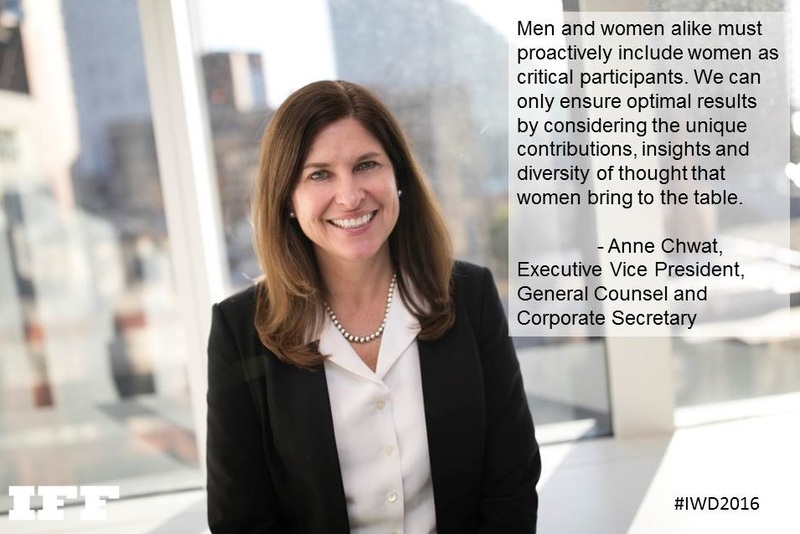 We can only ensure optimal results by considering the unique contributions, insights and diversity of thought that women bring to the table,” states Anne Chwat, IFF Executive Vice President, General Counsel and Corporate Secretary. “If we all hold ourselves accountable for supporting women so they can achieve their full potential and reach their professional ambitions, we can shift the momentum and further advance gender parity,” says Angelica T. Cantlon, IFF Executive Vice President, Chief Human Resources Officer. 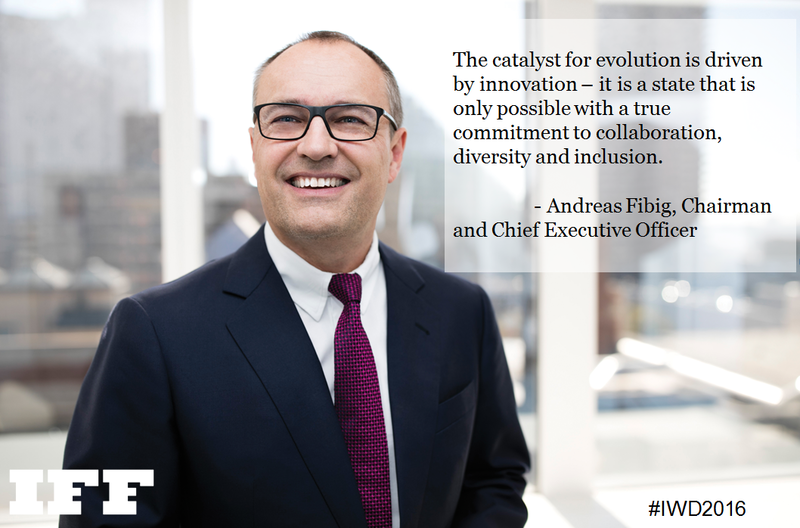 We are committed to embodying diversity and inclusion, accelerating progress and gender parity and embedding it into our culture. We greatly appreciate the benefits these bring to our business. Happy International Women’s Day! 2015 was a successful year for International Flavors & Fragrances as we embarked on a new chapter in our 126 year journey of discovery and pioneering firsts. Financially, we delivered solid growth across all our key financial metrics. Explore how we did in the infographic below. Investors are invited to join us for a live webcast today, February 11, 2016, at 10:00 a.m. EST to discuss results and outlook with our management team at ir.iff.com. We are passionate. It’s one of the inherent core values of our people at IFF. Throughout our 126-year legacy of creating sensorial experiences that touch the lives of millions of consumers, we have never wavered from our shared passion. In honor of this global holiday that celebrates love and romance, we are sharing some of our own tokens of affection with you this week via #LoveIFF. 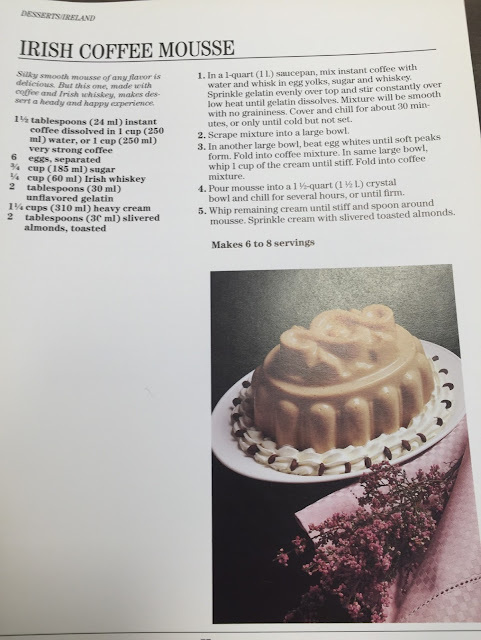 Starting with the last course, our first pick came from IFFers in Ireland: a silky, smooth mousse made with coffee and Irish whiskey will make dessert a heady and happy experience. 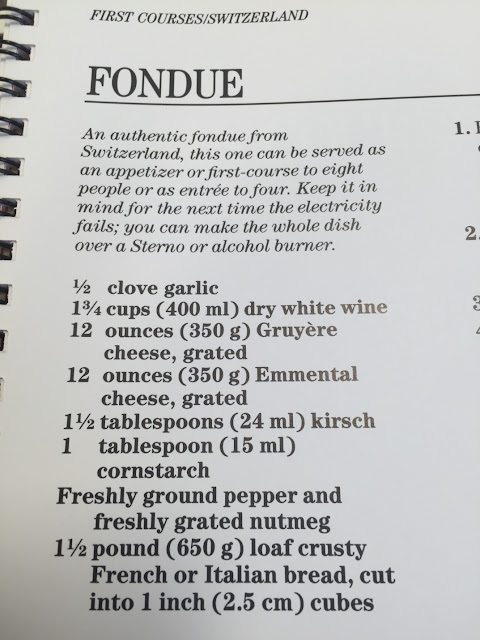 Swinging back to the start of the meal, this authentic fondue recipe hails from Switzerland and can be made over a Sterno for a fun, toasty and interactive celebration. We couldn’t steer away from this aptly-named, simple and delicious dish from the Netherlands. Follow our #LoveIFF hashtag for more exclusive inspiration. 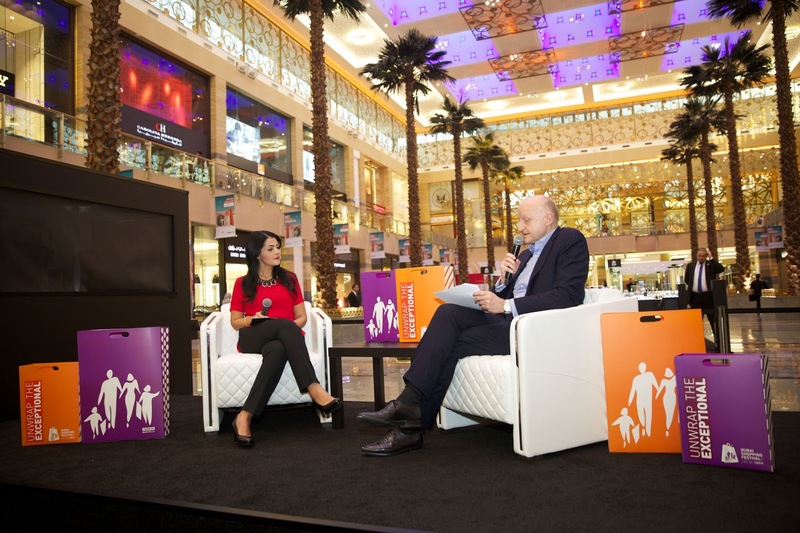 The 21st annual Dubai Shopping Festival wrapped up earlier this week. 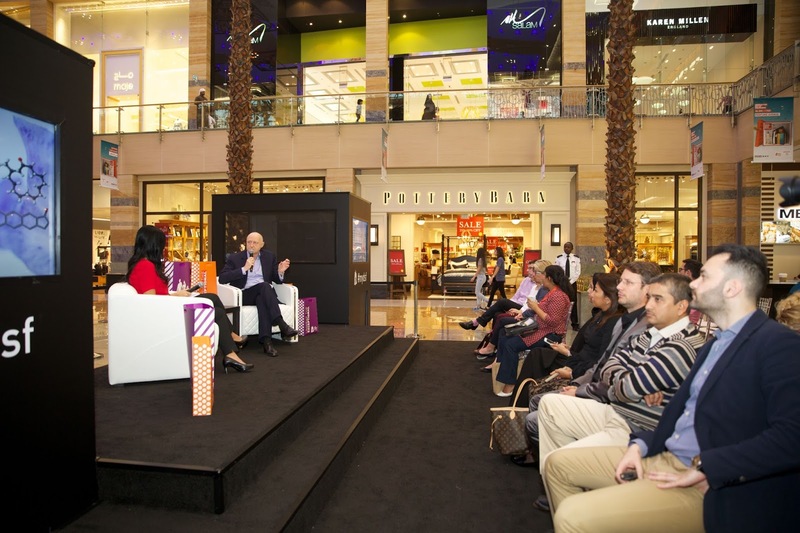 The month long celebration has brought in over 56 million visitors during its existence, showcasing the best of Dubai as a world-class luxury leader, an exceptional retail destination, a knowledge hub for the industry, a source of exclusive content, and a fount of inspiration, a hub of conversation, a place to share stories. As the festivities came to a close, the last leg of the event was dedicated as Perfume Week with a Perfume Avenue track honoring perfumery. 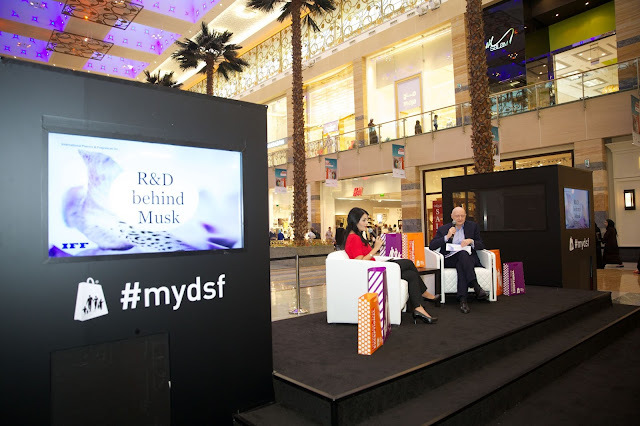 IFF perfumer Dominique Ropion took the main stage at the festival last Sunday to discuss musk. Dominique, a man who we like to describe as kind and a poet, grew up in Paris with a pedigree in perfumery. Both his mother and grandfather worked in perfume industry. As a child, he says he could literally smell everything, even a handshake. Today, having developed fragrances like Alien for Thierry Mugler (with L. Bruyère), L’Homme YSL for Yves Saint Laurent (with P. Wargnye & A. Flipo), and Carnal Flower and Portrait of a Lady for Frédéric Malle, one of his favorite materials is musk, timeless and indispensable for anything that needs a certain sensuality. Dominique took the audience on a journey through the origins of musk, IFF’s investment in R&D work focused on musk, the importance of musk in perfumery, examples of musk fragrances and wrapped up with a Q&A discussion. While the use of natural musk in perfumery and medicine dates back to the 4th century, today, it is rarely used and synthetic molecules have offered musk reconstitutions as a less expensive and more sustainable replacement. The European and American health commissions officially banned the use of animal materials in perfumes and cosmetics back in 2002. Our pioneering firsts in musks have made great contribution to perfumery. IFF’s perfumers have an exclusive portfolio of captive musks used to offer differentiation to our fragrances. Many recently discovered molecules at IFF have been focused on developing a new category of musks, like Cahmeran. Synthetic musk fragrances are more airy, closer to what today's women desire. 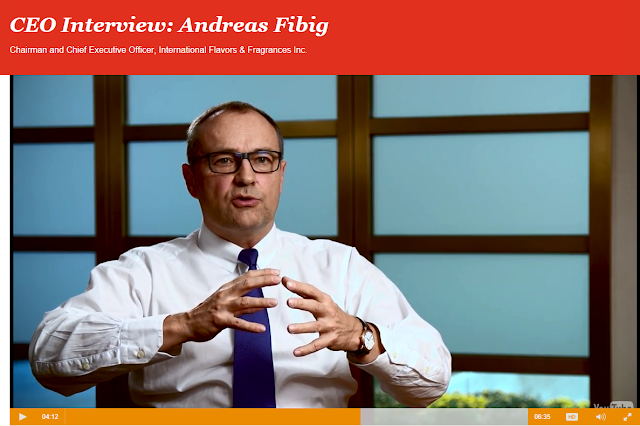 As part of their 2016 CEO Survey, PwC conducted in-depth interviews with 35 business leaders including our very own International Flavors & Fragrances Chairman and CEO, Andreas Fibig, to gain deeper insights into their priorities and strategies. The PwC US CEO interview series, their largest ever, explores current trends in detail and how leaders are driving growth. Explore their top ten findings for 2016 here. Beautiful answers start with brave questions. Curiosity is an important trait for us at IFF. Every day, we use the power of inquiry to create sensorial experiences that invite consumers to discover something new. But more than that, we tap into the power of curiosity—of passionate, sustained questioning—to turn exceptional ideas into extraordinary firsts. And we know we are not the only curious ones. 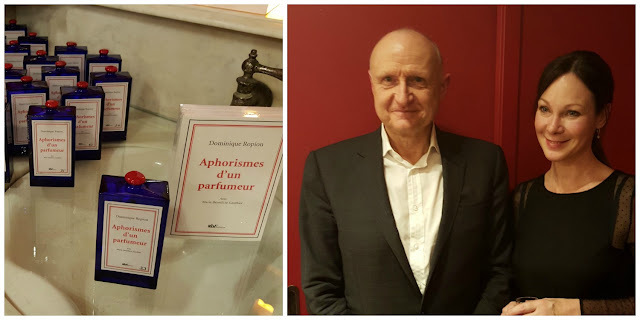 Aphorismes d’un Parfumeur is a limited-edition book written by IFF perfumer Dominique Ropion with beauty editor Marie-Bénédicte Gauthier. You may be familiar with Ropion’s work through Viktor & Rolf’s Flowerbomb, Givenchy’s Ysatis, and Carnal Flower for Frédéric Malle, among many others. The 84-page tome contains fragrance history and technique as well as Ropion’s personal reflections on perfumery, scents, creation, chemistry, molecules, natural ingredients and more. The book is bundled with a bottle, sealed with red wax containing four illustrated scrolls, signed by the perfumer. In the Empire of Scents a young woman, Molly Birnbaum, has become anosmic after an accident. Her quest for scents (and the director’s) take them to different scent experts, from Olivier Roellinger (chef and spice-maker) to a writer, sommelier, and specialist of ambergris, François Chartier, a truffle hunter, a safran village, perfume critic Chandler Burr, CEW olfactotherapist Patty Canac who talks about the Prosper spicebread experience, and mystical perfumer Guido Lenssen. It’s a fascinating documentary and IFF had the chance to participate in the filming. Dr. Subha Patel, Director of Nature Inspired Fragrance Technologies, who oversees the sprawling R&D Greenhouse and Botanical Gardens in our New Jersey facility, discusses the romance of flowers. While industry veteran and Director of the IFF Perfumery School, Ron Winnegrad, explains synesthesia in scents and demonstrates the commonalities in color associations when smelling. Kim Nguyen’s “last feature, War Witch (aka Rebelle,) won a nomination at the Oscars for best foreign film in 2013; a Silver Bear for Best Actress at the 2012 Berlinale and a special mention from the Ecumenical Jury; a Best Actress Prize at Tribeca, 10 prizes at the Canadian Screen Awards and 8 Jutra Prizes” via theempireofscents.com. The film debuted in March 2015 and has been touring festivals all over the world. This month in France, there have been a few press showings and next month, on Sunday, February 7th, there will be a large premiere at Publicis Champs-Elysees, with a Q&A afterwards in association with Les Dimanches de la Connaissance. IFF has joined forces with Scentys to illustrate some key moments of the movie with scents during the viewing, making it a unique sensory experience. The film will be released to the public on February 10.We hope you have a chance to view it. THE EMPIRE OF SCENTS (Le Nez)- by Kim Nguyen (english subtitles) from Funfilmdistribution on Vimeo.